For many, growing a beard is a form of self-expression. It also takes some work. Your beard won’t take care of itself any more than your car or your lawn. It needs some attention and upkeep. If you don’t keep up on it, you’ll look like a man from the wild before long. 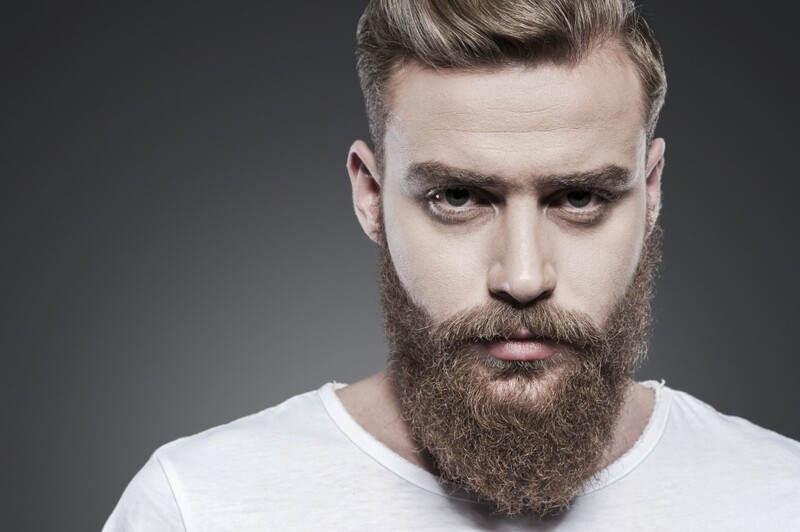 Here are a few tips to help you along the way in maintaining a beard. One of the first things you should consider is to quit trimming, of course! This may mean you have to deal with a wild look for a time. If you attempt to shape it and trim too early, you can end up with patchy or thin areas, setting you back as much as a month in growth. Try to wait until you have well over an inch of growth before you attempt to trim it. As your hair starts going from stubble to a full beard, you will likely have many days of itchy skin. This can be unpleasant, but try to stick it out. There are conditioning products available that can help you get through the itchy period. Put the soap or body wash down. If you don’t use it on top of your head, don’t use it on your beard. Use a high-quality shampoo and tailor it to your needs. If you have dry or oily skin, pick up a product for this. This is an important step in how to maintain a beard. Just because you may skip the conditioner on your scalp, doesn’t mean you should skip it on your beard. Your beard hairs are more likely to get brittle or wiry. Conditioner will maintain a softer, healthier beard. You can consider leave-in conditioner. You want to use these specially made oils to condition your beard hair and promote healthy growth. Use just a dime-size sample in your daily shower and get results. You may also want to get a boar bristle brush to work the oil through your beard. These products are designed specifically to keep from clogging your pores. Whatever products you use on your beard or mustache, you should check the packaging for the word, ‘noncomedogenic’ to insure you’ll have less ingrown hairs, or other blemishes. How to maintain a beard? Once you have some healthy growth underway, it’s a good idea to keep your beard trimmed. Light trimming and shaping, once growth is established, promotes a thicker beard. Make sure your beard is combed thoroughly before you start trimming. Sometimes the edging work can make all the difference between a kept beard and furface. Shave stray cheek hairs, clean your neckline up and take a good look at your mustache. To get a good neckline, use a three-way mirror to look at your profile and imagine a curve running behind your earlobe across the Adam’s apple. This will give you the natural, stylish look you’re after. Regularly trimming will help to maintain your preferred shape, but it’s not the only way. Use a beard brush or come to daily groom your stubborn facial hair, keeping them growing downward. Add a soft-hold product, such as Jao Bomade Beardscent; this will help you tame the stragglers. Eating healthy can help promote a great beard. A balanced, healthy diet will promote healthy skin and hair. If you want, adding a B complex vitamin, such as biotin, can help. Be sure to check with your doctor before any supplement. Keep your meal out of your beard by eating carefully and taking smaller bites. It’s not a bad idea to use your napkin in between. Get Your Sleep. There are studies that show that the amount of sleep you get can cause you to slow down on beard growth. Get plenty of sleep and enjoy a thick beard. Exercise. Regular exercise can also play a role in how to maintain a beard. This is because the better your metabolism is, the better rate of growth your hair will see. Stress Less. Stress is one of the biggest reasons people don’t see the hair growth they are after. It can weaken your follicles and cause your hair to fall out. Try to lower your stress with meditation and optimistic thinking to improve your beard’s health.